Added on April 10, 2014 by Jessica Yurasek. I can't knock the feeling that as a child, I was cheated in my education of the history of the world. It seems impossible we were never taught about this place in school. Then again, I grew up in the U.S., so I suppose I shouldn't be too bewildered at such an omission. 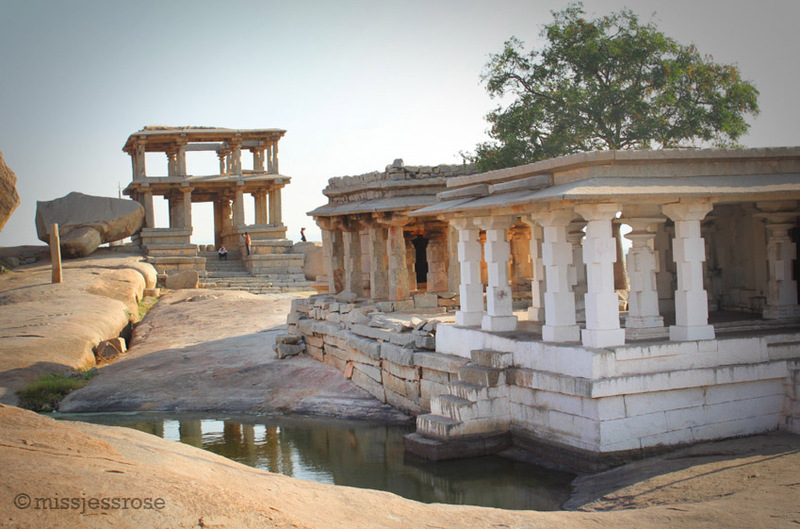 Hampi feels like the Joshua Tree National Park of India, except with a river and ancient ruins from the 15th century. The landscape is a bizarre blend of dusty dry desert, sprawling historic ruins, and tropical oasis. With such curious surroundings, it makes sense that free-spirited foreigners in the know are drawn here. After passing clusters of dreadlocked Westerners, I have the thought that perhaps a hippie commune got dumped off a spaceship and landed straight on top of a rice paddy incongruously in the middle of the desert. The waters of the Tungabhadra river feed groves of lush green palm trees and rice paddies, giving life to this otherwise arid climate. For ten rupees, the equivalent of fifteen cents, we pile onto a precariously overloaded motor boat in order to cross the river in search of accommodation. 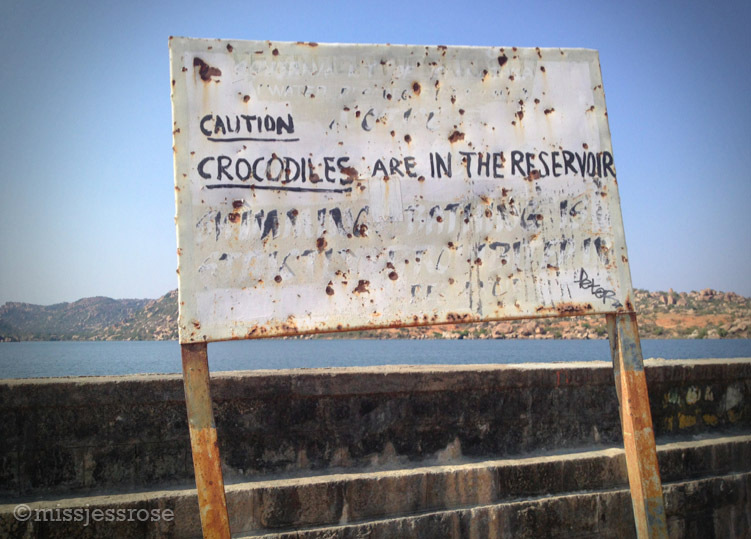 Beware of the crocodiles and whirlpools, hand-painted signs warn, though the water appears calm. We've been told that everyplace is booked, but once on the other side of the river, options improve. The guest houses we investigate all seem to be relaxing tropical retreats from the outside, but inside the rooms are dark, damp, and mildewy. By now I've learned to surrender into my inability to control undesirable accommodations. Without the contrast of these dirty hotel rooms, nicer places wouldn't be so thoroughly appreciated. Embracing contrasts is an ongoing task, but a good life lesson. Standing on higher ground looking out across the hauntingly beautiful ruins, I try to imagine vignettes of a life long past. Anywhere else in the world, this place would be packed with swarming tourists, but today we seem to be the only visitors. 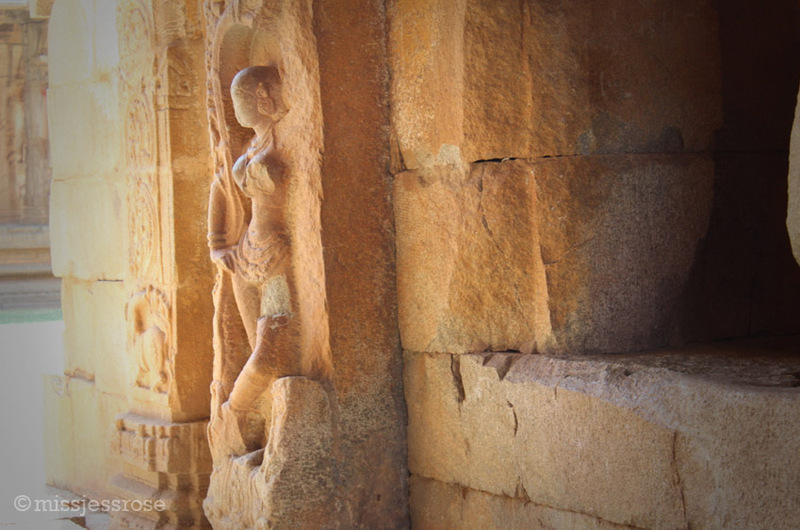 The elaborately carved, yet now crumbling structures, rival those of ancient Rome. 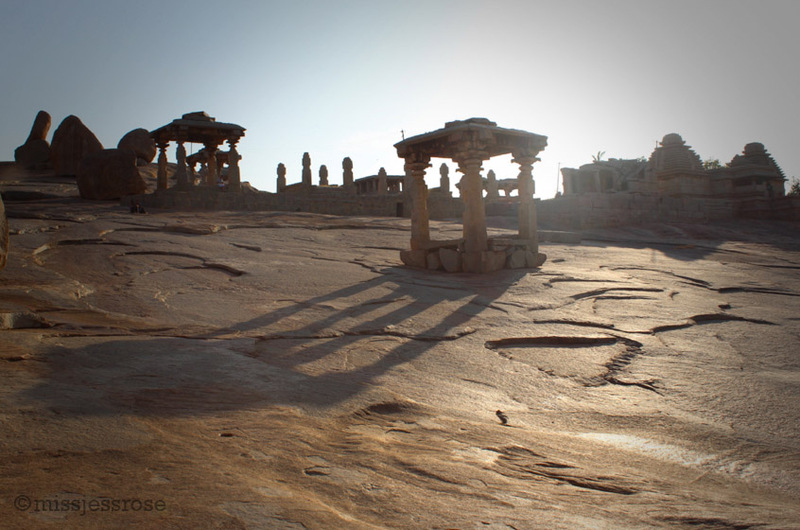 These are the remains of a vanished civilization, the Hindu Kingdom of Vijayanagar. As we wander from structure to structure, I think of Circus Maximus and the Roman forum. 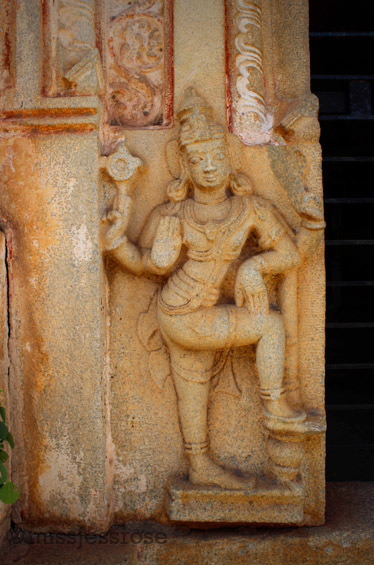 Hindu deities grace stone pillars, bodies curved and twisted, dancing in stillness. Giant boulders are scattered around the ruins, as if the gods created them so that they could play skipping stones on the river with mortals. 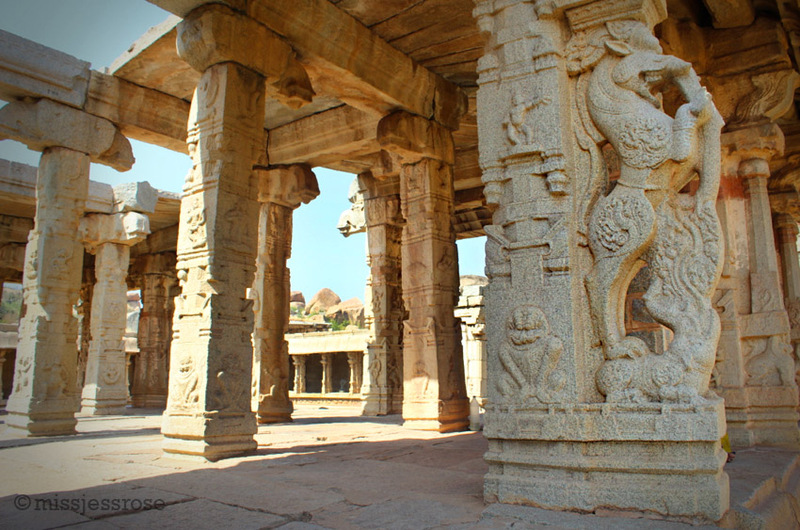 It's unsurprising that Hampi is a UNESCO World Heritage site. The earliest buildings date back to 1336 (that's pre-Renaissance!) and the civilization flourished until 1570 when the Deccan Muslims attacked and destroyed everything. Battle scars are still visible today. 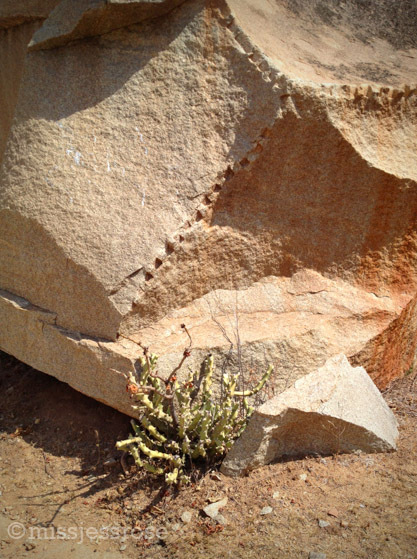 A local tells us that most of the stone Ganesha sculptures lost their trunks to the hands of Muslim warriors. 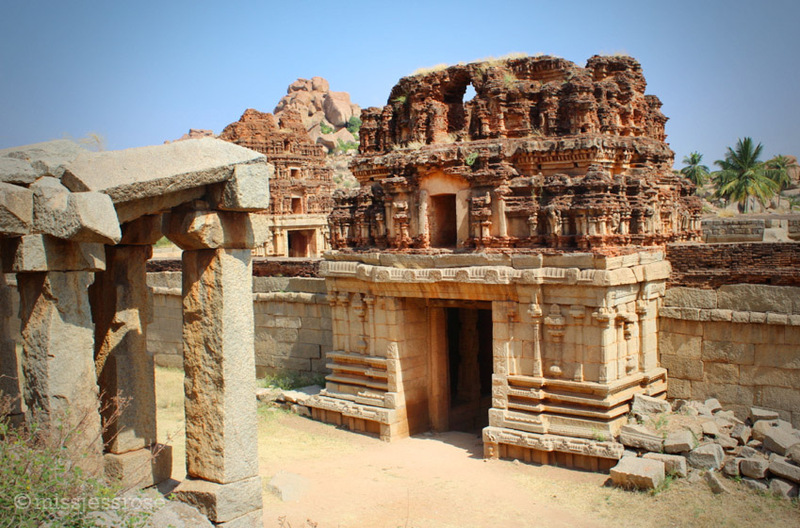 It isn't until a few days into our visit that I start to learn about the problem with Hampi being a UNESCO site. 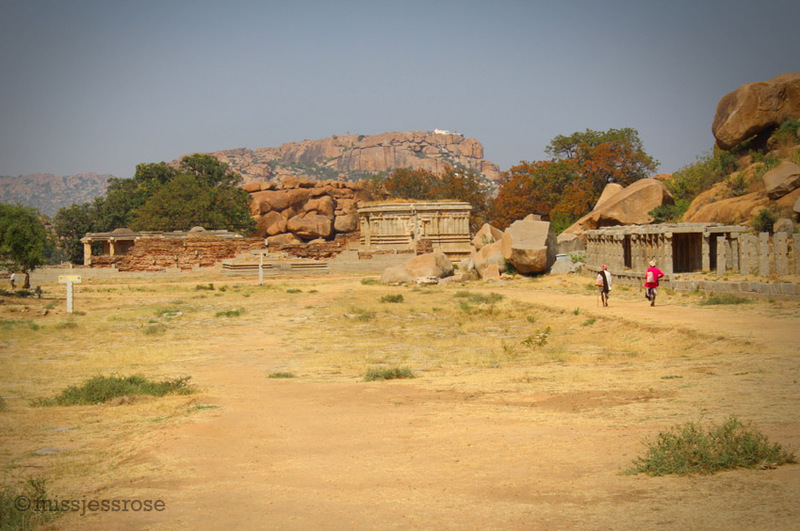 It turns out that Hampi's classification as "protected" doesn't exactly mean what it should. 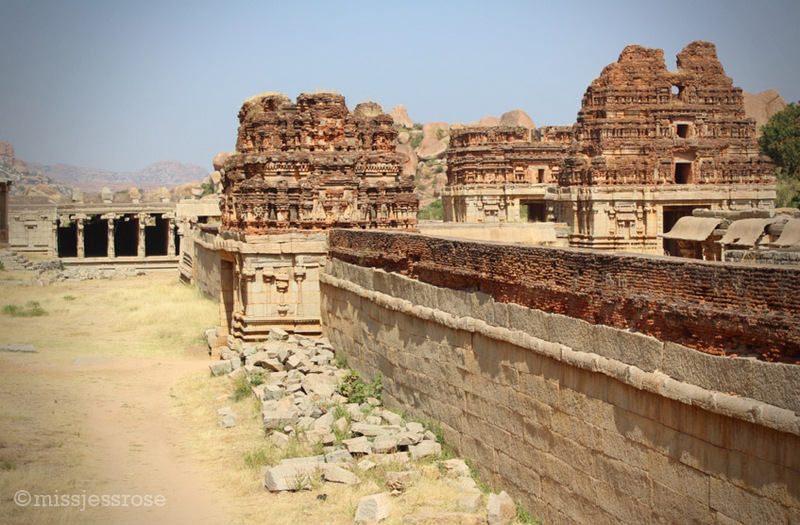 The government mandate to preserve Hampi is bogged down by politics and shady corporate dealings. When we ask a local why the historic bazaar praised in our Lonely Planet as alive and intact is instead demolished and in ruins, he tells us about the complications. 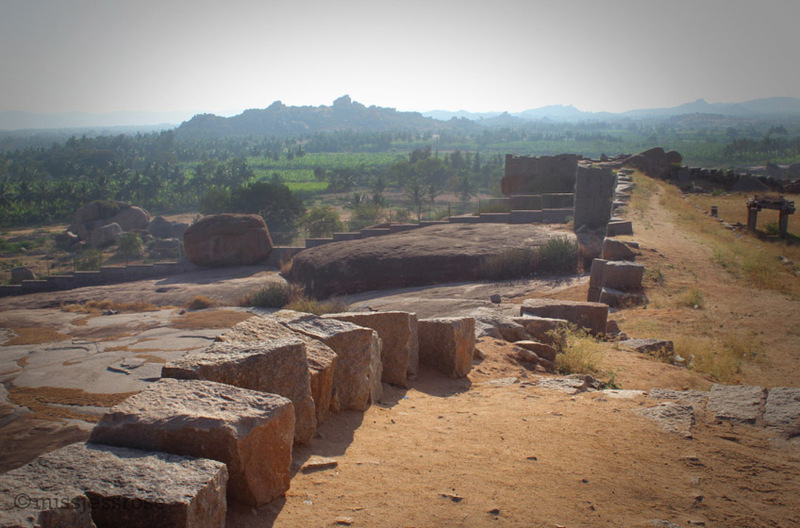 The people of Hampi opposed the demolition. When it comes to politics, individuals who can't afford a voice are the ones who suffer most. It's the same old David and Goliath story: big corporation realizes something historic and beautiful is popular with foreigners, wants to make a profit, kicks out native locals. Ever since a hotel chain declared that it wanted to build a 5-star venue in Hampi, the government began pushing to evict local inhabitants. Despite efforts to compromise, destruction and relocation began in 2012. Hundreds of Indians were displaced from their homes, many of whom had lived there for generations. Today there is a settlement a few kilometers away, hidden from view of the main tourist sites. Locals were forced to move here on a first come first serve basis. Others are still looking for a new home. Today the bazaar remains an empty shell of life, a long pile of rubble. Pilgrims from Rajasthan camp amidst the cement piles of destruction. They come from the north on buses because this is a holy place. We wander through the sunbaked garbage-filled streets and a herd of goats hurry past. I think about how disappointing it is that even in what seems like a remote corner of the world, I still discover this same story of rich versus poor, privileged versus powerless. It is an inescapably human story that never seems to go away. I try to imagine what this place will be like in a decade, perhaps full of Chinese tourist buses and luxury hotels? I wonder how much of the story is true, and understand that I'll probably never really know. 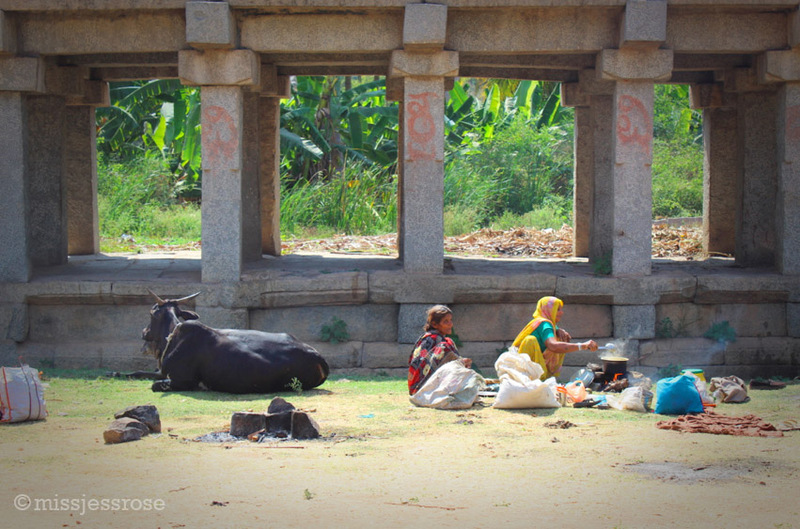 I hope Hampi doesn't lose its charm. For more on this conundrum, check out the BBC's report.